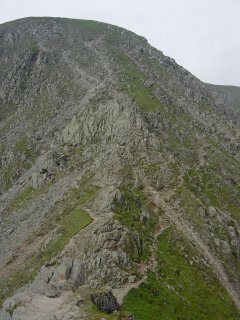 Back up to higher ground today with a walk to Helvellyn from Glenridding, ascending via Birkhouse Moor and Striding Edge and descending via Swirral Edge to Catstycam. 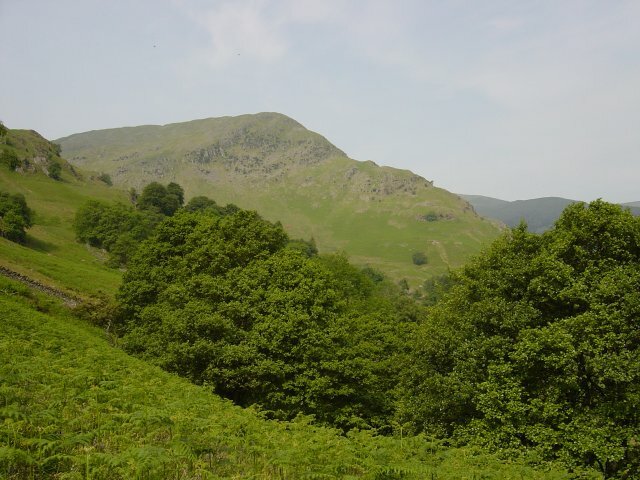 Birkhouse Moor from the Glenridding path. 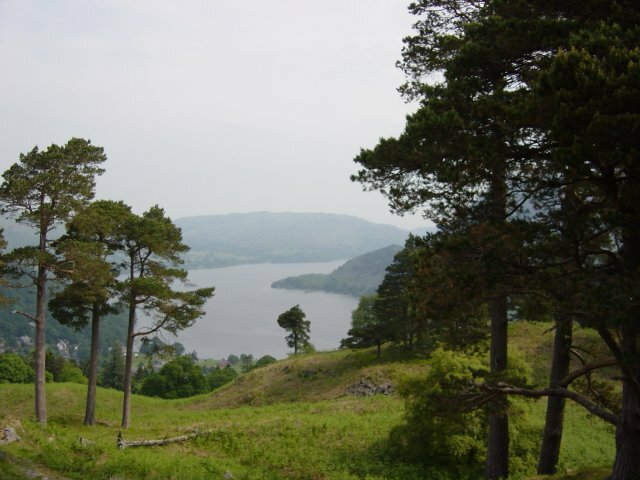 Ullswater from the summit of Keldas. 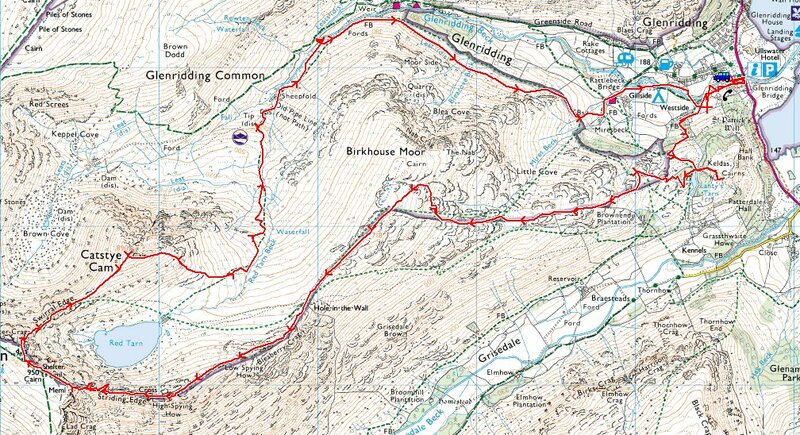 At 331m, this summit seems to be an omission by Birkett as it meets the 1000' criteria he sets out in his book. 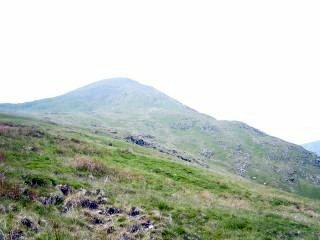 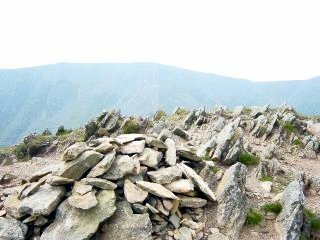 The summit cairn drawn by Wainwright in his Birkhouse Moor chapter has now disappeared. 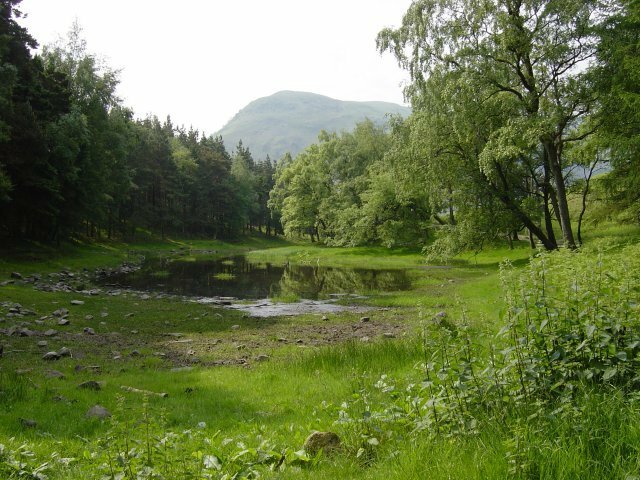 Looking to Birks across (a very dry) Lanty's Tarn. 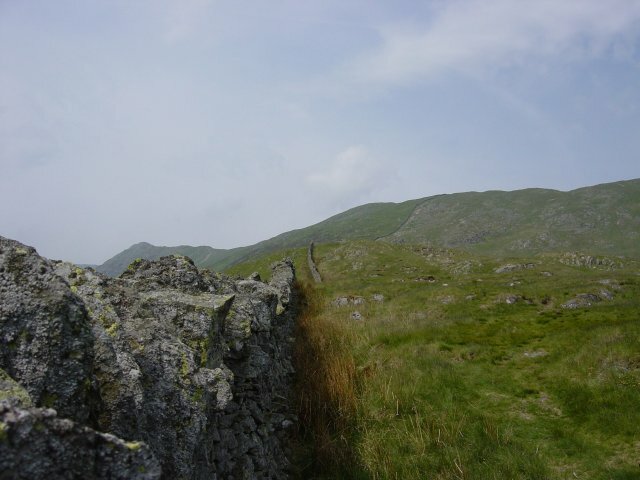 Ascending Birkhouse Moor - follow the wall up to the right, then left along Birkhouse Moor to the Hole-in-the-Wall and Striding Edge to the left. 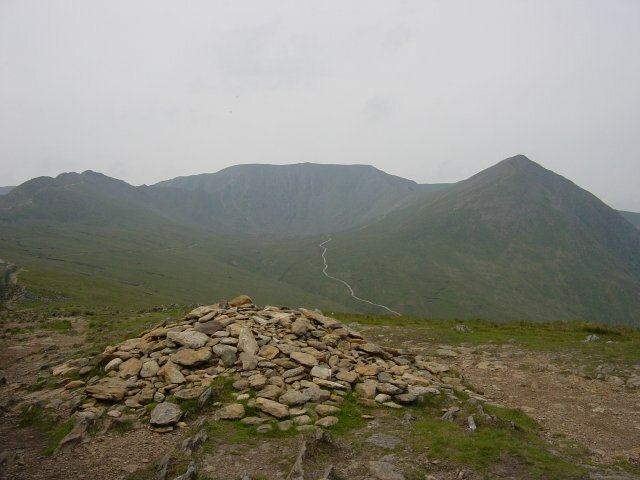 Striding Edge, Helvellyn and Catstycam from Birkhouse Moor summit cairn. 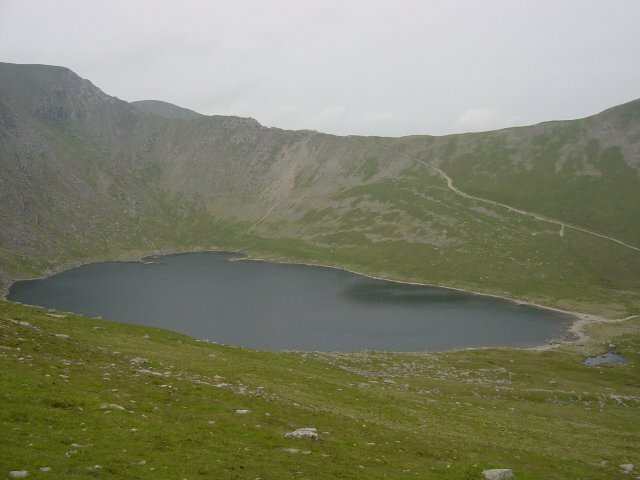 Looking to Swirral Edge across Red Tarn from Striding Edge. 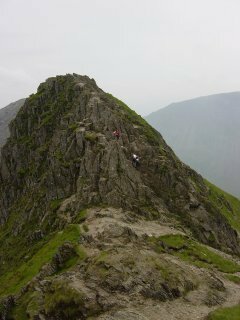 Looking back to High Spying How from Striding Edge. 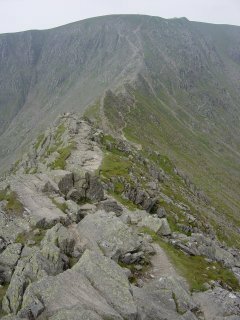 Striding Edge looking towards the chimney and Helvellyn summit. Looking back to the chimney. Catstycam from the summit of Helvellyn. 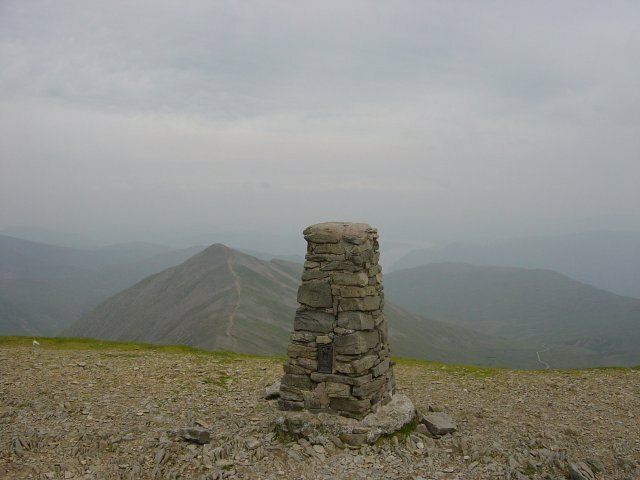 There were only hazy views to the East today and no views at all to the West as it was covered in cloud and haze. 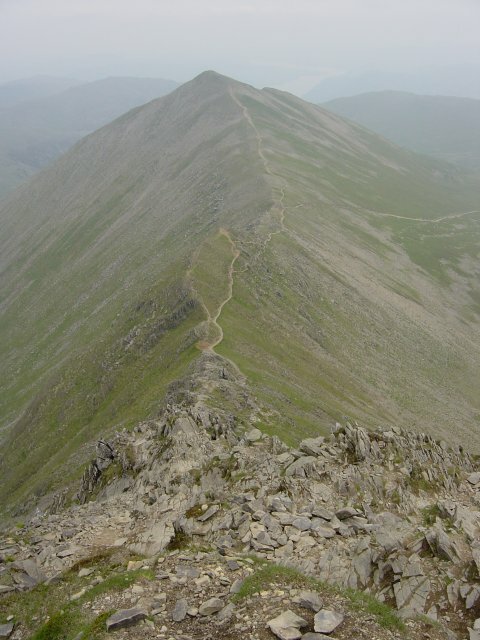 Swirral Edge from Helvellyn; the initial descent is steep but it is not as bad as it looks. 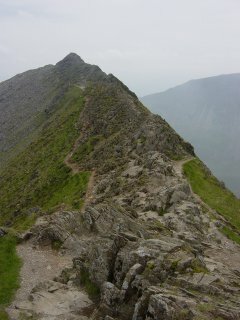 Striding Edge from Catstycam summit. Looking back to Catstycam from the descent into Glenridding. 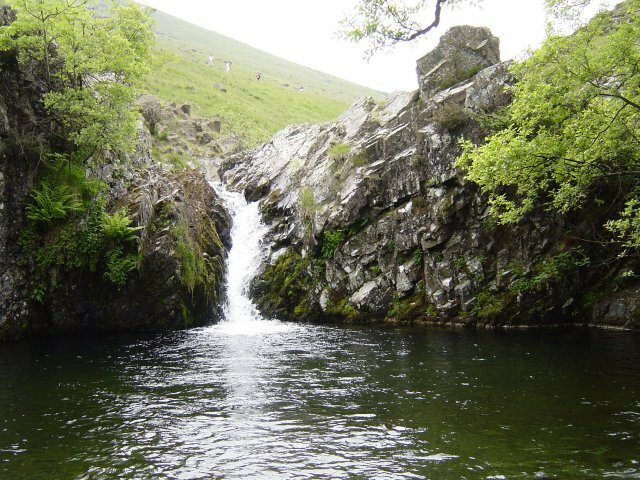 It was so warm today, I couldn't resist having a dip in this inviting pool on Glenridding Beck.